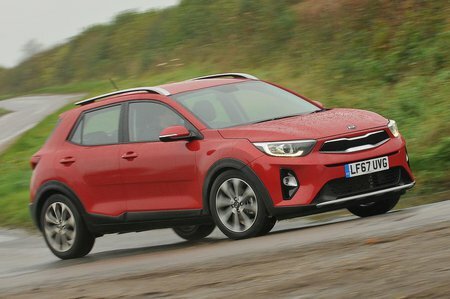 Kia Stonic 1.0T GDi 2 5dr 2019 Review | What Car? While this is the entry-level model, it still comes with plenty of equipment. This includes 17in alloys, power-folding door mirrors, automatic lights and wipers, a leather-trimmed steering wheel and gearknob, air conditioning, front and rear electric windows, cruise control and rear parking sensors. It also includes a 7.0in infotainment screen complete with a DAB radio, Bluetooth and smartphone mirroring. Add the optional ADAP safety pack, which provides automatic emergency braking, and you’re good to go.